Binomial: If y = sumation from i =1 to n of a random variable Xi and Xi are Bernoulli(p) RV's(equal to 1 with probability p and equal to 0 with probability of 1-p), then Y has the Binomial pmf. 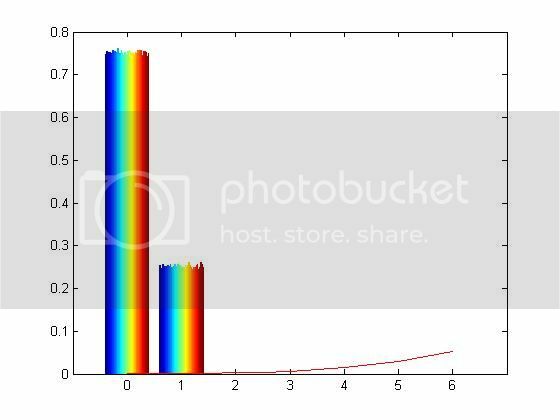 For n = 50and p = 0.2, generate 10,000Rv's Y and plot the histogram, overlaying the Binomial pmf. Also overlay a N(np,np(1-p)) distribution to show that the Binomial pmf may e approximated with a Gaussian pdf. I dont think this is correct. Can anyone help me out?